Not understanding the fundamentals of trading can get new investors burned for tons of cash. I see this happen a lot to beginners trying their luck in the stock market. They don’t fully understand the fundamentals and it costs them big! This is moreso true with penny stocks than anything else. So how can you make sure you are not getting burned when you go to make an investment? Here are a few simple rules and strategies you need to know! When you are looking to buy penny stocks and high volatility securities one of the most important things you need to look at first is the Asking Price. The Asking price in this situation is far more important than the market price. The Asking price is the price that someone holding the penny stock or security is willing to sell it for. When you purchase a penny stock you are not purchasing it at the market price you are purchasing it from the lowest asking price seller. Instead of being lazy and purchasing stocks at the market price you need to be firm on what price you are willing to pay for a stock. All online trading platforms and stock brokers offer you the option to purchase at market price or set a certain price that you are willing yo purchase the stock at. The last person who bought a stock sets the new market price. This happens when a seller lowers his asking price to meet the next highest bid or when the bidder highers his bidding price to meet the next lowest asker. The reason why this is extremely important for penny stock investors is because there is often a very large spread between the ask price and the market price. If you purchase a stock at market you can be paying well over what you expected to pay for a security. This can be even more exaggerated when you purchase a large quantity of shares. In this scenario you could end up buying more shares than the lowest asker has to sell. Now you will pay his high price and you will also be paying a price of the second lowest asker as well. As this happens you will be increasing your average price per share. For new investors its best to set a price you are willing to buy a stock. Just pick a number you are comfortable with. Set a limit on what you are willing to pay per share and stick to it! If the price never goes that low than you can pass that stock up for another opportunity. People trade penny stocks because very little movement can generate huge returns. If you don’t set your price and just use the market price you are eating away at a huge percentage of that potential gain. On the other end of the spectrum you have the bid price. The bidding price is the price at which a person is willing to pay for a stock. this price is important for investors looking to sell stocks. For the reasons mentioned above when buying a stock the same hold true when you are going to sell a stock. You are not selling the stock at the market price, instead, you are selling it to the next bidder. Keep this in mind when you are purchasing a penny stock because eventually you are going to need to sell it. Is there a ready line of bidders available to sell your share to? I have seen the bidding spread be up to 25% or more of the market price. If you are not careful when you are purchasing and selling stocks you can take huge losses before you even purchase the stock, and when you go to sell it you can get hammered again. The bid/ask spread is one of the biggest penny stock fundamentals you need to understand and evaluate before you purchase any stock. Volume is another important aspect new investors often overlook. It is very important to investors of penny stocks, because volume indicates there is a steady market for the stock. If you are considering a penny stock that does not have a steady volume you will probably get hammered when you go to sell the stock. Just as you must be mindful of the bid/ask spread you need to be mindful of volume. If there is no volume there may not be ANY bidders for that stock. When there are no bidders the stock is completely illiquid and the value is for all intensive purposes 0. Stocks that no one else wants are worthless and without any available bidders you will not be able to sell the stock when that time comes. 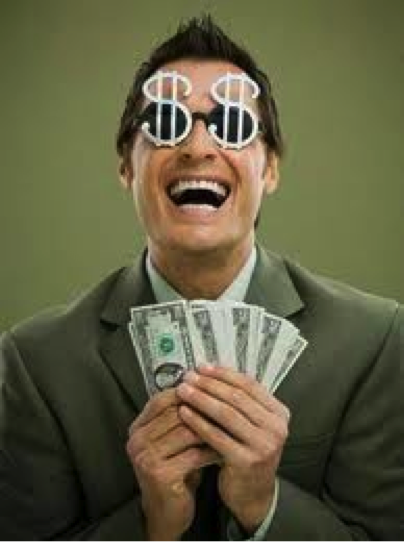 I have an old boss who is stuck in this position now with a penny stock he purchased. He is unable to sell the stock because there are no ready buyers. In this case, the price is definitely not worth the “market price” to sell the stock he would have to take about half of what the current market price is. Moral of the story, don’t end up like my old boss and make sure there is a market for the stock so you can sell it when you need to exit. As you can see from the 3 topics covered above penny stock fundamentals might be the most important part of your investing tool kit. Understanding how bid price, ask price, and trading volume affect the price of a particular stock is just as important as researching the stock and deciding if it is a good investment for your portfolio. It’s easy to underestimate the role each of these three fundamentals play in investing if you are used to trading mid to large cap stocks because a readily available list of buyers and sellers exist. In the penny stock universe you need to pay particular attention to the market that is available. By having a plan when you purchase a stock you will be able to sell your stocks easily, at the price you want, and most importantly turn a PROFIT!. Stay up to date on investment advice by getting on our FREE eMail list! Why Trade Penny Stocks on Major Exchanges? Penny stocks on major exchanges (such as the NYSE, AMEX, and NASDAQ) have to adhere to strict guidelines set forth by the SEC. There are reporting standards, accountability, and regulations a company MUST follow to be listed on one of these exchanges. Due to these tough regulations there is often not many companies with low market caps trading on these exchanges. It costs a great deal of money for companies to meet the strict standards set forth by the SEC. Due to these strict standards there can be some solace for penny stock investors who are worried about being scammed. Any business that trades on over-the-counter markets does not have the strict reporting policies that businesses on major exchanges have to adhere to. This does not mean that it is impossible to be scammed, but the chances and frequency of scams are greatly reduced when trading on major exchanges. Today, I am going to look at each major exchange and pick some penny stocks I think have the potential to explode over the rest of this year and moving forward into 2014. The NYSE (New York Stock Exchange) has approximately 2,800 companies listed on its exchange. Of these 1,250 only about 148 (actively traded) are considered penny stocks (stocks trading at $5.00 per share or less). Hecla Mining Company (HL) Helca Mining Company engages in the discovery, mining, production, and marketing of gold, silver, lead and zinc. I know a lot of people are down on gold miners right now, because the price of gold has fallen sharply over the past few months. However, there are two reasons (in particular) as to why this company is a great penny stock investment. The current price of HL is $2.92. The company also has enough volume where penny stock investors won’t have an impact on market prices when they are buying or selling the stock. 1. HL is in great financial shape considering how much the price of gold has fallen. The company has the assets and cash to make it through these rough times. HL also does not have a large % of Long-term debt compared to its assets. The company has enough current assets to wait out the storm and remain in business while the price of gold stabilizes. 2. HL suffered operating losses for the 3 months ending March 31, 2013 and June 30, 2013, but has returned to a positive operating margin for the 3 months ending September 30, 2013. The company has found a way to make its operations profitable despite gold being at such a low price. If the price of gold returns to previous levels the company could become immensely profitable. 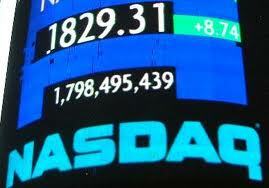 The NASDAQ Stock Exchange has approximately 2,800 companies listed on its exchange. Of these 2,800 roughly 600 companies (actively traded) are considered penny stocks (stocks trading at $5.00 per share or less). 1. The companies has no long-term debt and an excellent current ratio (current assets divided by current liabilities). While the stock market as a whole is no longer in turmoil this company is not inhibited by its debt (like most penny stocks) and has significant assets that it can use to grow over the next few years. 2. Since 2009 the company’s operating income has grown 97.7% and has improved steadily each year. During this time the company was able to reduce its research and development costs and maintain its selling and administrative costs at the same level. If the company continues to grow at this pace it will prove to be a solid investment for penny stock investors for years to come. Due to easier regulations the AMEX tends to have smaller companies on it compared to the NYSE and NASDAQ. This stock exchange gives us a great pool of businesses to choose from for potential penny stocks that cold become great companies trading at well over $5.00 per share in the next year. 1. Natural gas is becoming an increasingly important resource for meeting the global power demands. As we move further into the 21st century this commodity is only going to become more important. 2. SSN has very little long-term and current debt. This proved to be a great strategy during the company’s recent turmoils. Companies that have a significantly more assets then debt are able to withstand long periods of turmoil. While they do not take advantage of leverage, they don’t get burned when prices of commodities drop or demand lessens. The balance sheet of SSN is particularly strong for a penny stock company. 3. SSN has returned to profitability for the three months ending September 30, 2013. In fact, revenue has grown over 150% from the previous quarter. During this time the company was also able to reduce its total operating expenses by 11.2%. This company may still have a long way to go, but it is definitely heading in the right direction for now. With a current trading price of $0.44 per share it is a very affordable option for any penny stock investor. Penny stocks on major exchanges are reputable companies that have to adhere to strict reporting standards. Due to these regulations the opportunities for fraud are significantly less then OTC markets. Investors looking for safer penny stocks can invest in companies on these exchanges. While the reward will not be as great as OTC penny stocks the risk is greatly reduced. 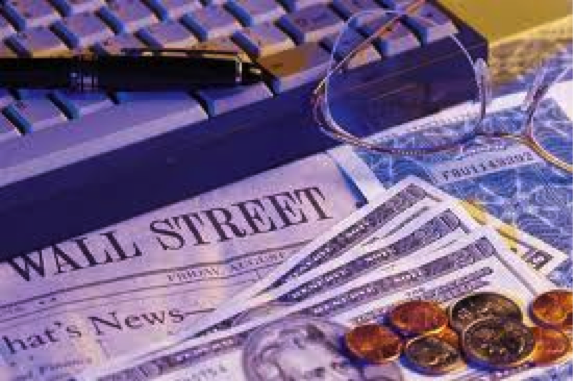 Stay up to date on penny stock trading ideas by getting on our FREE eMail list! Whether you are a beginner, avid day trader or just someone looking for an additional source of income, penny stocks can easily be your solution. While we have written quite the collection of penny stock related blogs, be sure to bookmark this as your definitive guide to penny stocks trading. By the end of this, you’ll understand everything there is to know about penny stocks. We’ll start with what penny stocks are, how to trade penny stocks, and great hot penny stock tips. I’ll also cover other factors involved with penny stocks like Pink Sheets and OTC (Over-the-Counter), giving you everything you need to begin your penny stock trading adventures. So, you’ve decided to enter the fast paced, entertaining, sometimes lucrative world of penny stock investments. Penny stock trading breaks all the rules of traditional investing, and is a combination of timing, luck and research. While penny stock investments have the potential for abundant returns, underestimating the market flow will quickly put any delusions of grandeur to bed. For those of you readers who are perceptive investors, think of penny stocks as an opportunity for an additional income source. By understanding what to look out for you can arm yourself with the right information and techniques giving you a chance to do quite well trading penny stocks. Initially, penny stock trading can be a confusing process to grasp. If you asked a group of investors their penny stock definition, you would most likely receive an assortment of answers all falling along the same premise. Penny stocks are priced from a few cents to five dollars a share. Those who are issued penny stock titles are usually smaller companies in the bio-chem, pharmaceutical, and medical industries (among others) who are launching new or experimental products. The investment process is simple, release a small amount of capital towards to purchase shares into a certain penny stock company for the potential of earning bountiful returns. Any successful penny stock investor will tell you an immense amount of research is required for any potential pick. As you continue reading you will also learn how to pick penny stocks and the trading process. Companies in the penny stock realm usually fail to meet the requirements of being included on major exchanges like the New York Stock Exchange (NYSE), though a majority are registered with the Securities Exchange Commission (SEC). While penny stock trading can be lucrative, these specific stocks are more vulnerable to manipulation schemes due to the lack of close monitoring and regulation. As you read on you will also learn that trading penny stocks differs to the traditional stock exchange. Penny stocks use an over-the-counter (OTC) trading system. It’s a great alternative for beginners with little upfront capital and those who love the thrill of huge risk. Penny stocks can be found in many different listing services. 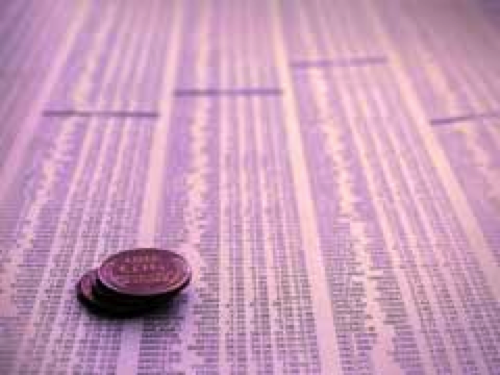 Usually, penny stocks can be found on certain exchanges, OTCBB, or on pink sheets. Exchanges: There are exchanges that list penny stocks, such as the NASDAQ, though they require all of their stocks to meet a certain criteria in order to lower the risk. Stocks listed in the NASDAQ also need to include a certain amount of financial history and market capitalization in addition to being registered with the Securities Exchange Commission. OTCBB (Over-the-Counter Bulletin Boards): While this listing service is more lax, even the OTCBB requires that all of the stocks involved must be registered with the SEC. Pink Sheets: one of the most popular listing services, pink sheets are both praised and avoided. It’s the only listing service to include all of the penny stocks available because it has no listing requirements whatsoever. You have access to all of the low cost stocks on the market. While there is a huge risk when trading with pink sheets, many credit this particular listing service for why they made millions investing in penny stocks. How Are Penny Stock Investments Different? Listing Strategy: Definitely the biggest difference between the two. Companies issuing regular stocks are listed on the major stock exchanges, like the NYSE (New York Stock Exchange). Penny stocks complete transactions and perform all of their trading over-the-counter (OTC), which we will get into later on. NOTE: This difference can pose a major obstacle when selecting the best penny stocks to trade. There can be instances where a company’s stock price call fall into penny stock pricing, de-listing them from major exchanges. Removal from the exchange can also occur when the company fails to meet the minimum requirements or regulations. These factors can play a huge role in stock selection for any investor in the researching stages. Pricing Structure: I covered this major difference above while explaining what a penny stock was, but as reinforcement a stock issued for a few cents up to $5 will receive a penny stock title. It’s because of the low issuance rate that attracts so many trading beginners who initially have small amounts of capital to invest. Company’s Financial Worth: This was briefly covered above in the listing strategy, but there are some additional caveats to consider. A company’s penny stock price will not accurately reflect a company’s financial worth. Rather than waiting for time to tell if you made the right decision after buying an overpriced or underpriced stock, penny stock investments move at a much faster pace. Penny stock investors also uncover the company’s true financial worth during their research stages before they even purchase the penny stock. For penny stock beginners, the first major term you will need to understand are pink sheets. To put it simply, these are merely lists of certain stocks printed on pink pieces of paper issued by the National Quotations Bureau (NQB). Pink sheets are the only listing service to include all of the available penny stocks. These listed stocks can also be referred to as over-the-counter (OTC). As they have no listing requirements, these pink sheet stocks do not need to be listed with the Securities Exchange Commission (SEC). Pink sheets are generally used by companies as an area to provide a detailed overview of their financial information, but many fail to provide little or no finance-related content making it very difficult to gauge the true risk when choosing pink sheet penny stocks. There are many people who simply avoid pink sheets because of all the unknowns they carry. Even though they can be volatile, many penny stock millionaires credit pink sheets to being the source of their success. With that being said, those who have found success also put the necessary time into their research and source selections. Investor’s Tip: A good idea when investing penny stocks is to buy from a company on the verge of massive growth. While many people will tell you pink sheet penny stocks aren’t worth your time, others will vouch they are definitely worth the risk. Ultimately it is up to you and what you discover during your research phase. Because these OTC stocks can be so volatile, arming yourself with information on the company’s history and their revenue process can help you make a smarter decision. Once your research has convinced you that they are about to take off is the only time you should pull the trigger on investing. NOTE: Definitely proceed with caution when trading in pink sheets penny stocks and take the time to do all of the research involved. Because they are no listing requirements there could be illegitimate and scam penny stocks listed with those who have the potential to take off. Find out as much as you can about any potential selection, and be sure to diversify your portfolio. What is the Over-the-Counter Bulletin Board (OTCBB)? As we briefly mentioned the OTCBB earlier, you are aware that penny stocks do not need to meet the same requirements as regular stocks. Remember, you’re trading in one of the most volatile markets available, taking the time to understand every aspect is completely necessary. Over the counter refers to stocks that are not being traded on traditional formal exchanges like the NYSE, TSX, etc. Over the counter means that the stocks are traded via a dealer network (or listing service) instead of on a centralized exchange. That’s why Pink Sheets can also be referred to as OTC’s. Similar to pink sheets, the Over-the-Counter Bulletin Board is a dealer network that the United States uses as a vehicle for trading penny stocks. Broker-dealers perform all negotiations and complete the process through the OTC BB. Keep in mind while selecting OTC penny stocks is to consider that some companies may have started on major exchanges only to be delisted. Most of the time stocks are delisted due to falling stock prices or neglecting to meet certain requirements or regulations. This is why you always need to make sure you are doing an appropriate amount of research before investing. More often than not your first pick will be a loss. Take it as a learning experience. Picking penny stocks relies on hours of research and perfect timing. Luck alone will not be enough to rely on if you are trying to net six figures or more. Be Wary of OTC Stocks: Many times these companies are facing severe financial trouble such as bankruptcy, be thorough in your research. Disapprove of Industries: If you disapprove of how industries operate or you just don’t fully understand them, just avoid them. No stock no matter the value is worth funding something that is morally conflicting. Lack of Earnings: Definitely be cautious on any stocks offered by a company that has earned less than $10 million a year. See if you can find any press releases or reports reflecting their lack of earnings in addition to other pertinent information that may dissuade you further. After removing these types of companies and stocks from your list, you will be able to select the most promising ones initially basing it off of your knowledge and experience. Once you have this list created, use the tips below to identify potential penny stocks to buy and what ones look the most lucrative. Tools of the Trade: As picking stocks usually requires a complex amount of calculations and experience, use technical, quantitative, and qualitative financial research. Be sure to also keep an eye out for technologies that will also help you simplify the process. 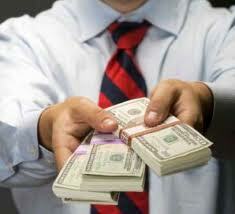 Cash Flow: This may be an obvious statement, but do not forget to look at the company’s cash flow generation. A good sign is to always see it consistently increasing, unless you have seen capital expenditures or purchases leading to the outcome of expansion. In those instances it’s important to see what the company has spent the money on. Is this something that will give the company higher profitability? Also, be wary of a company that just took on a new debt to increase its cash flow especially, if it has had problems generating cash in the past. There are two places you can trade penny stocks. You can either let a broker-dealer assist you in your selections or you can use an online trading platform. It’s all based on preference. Do you like the face-to-face interactions? Or are you a fan of the convenience and speed online trading offers? Besides the NASDAQ, penny stocks will not usually appear on major stock exchanges like the NYSE. The OTC will be your go-to market to see the list of penny stocks. While some stocks will meet an assortment of requirements, pink sheet penny stocks will give you the full list on all of the penny stocks available. As a beginner, your first objective when starting your penny stock trading expedition is to usually contact a broker-dealer. It’s their job to arrange for the purchase and sale of stocks you are trying to sell or buy. If you want to do this on your own, you will need to learn how to watch the stock quotes in addition to understanding the stock market order process. For those of you who are managing their own portfolio you can use moderately complex online tools and merely learn the penny stock trade through practice. As a penny stock investor, consider yourself in a casino rather than an exchange. Because of how volatile this market is, penny stock investing can seem like a gamble at times. There have been many occurrences of where the unexpected happens and what you predict doesn’t. Just because a stock looks like it will fail doesn’t mean it will, sometimes those are the ones to skyrocket in value. At less than five dollars a share penny stock trading has a limitless amount of room for success, even with it’s difficult process. Once you understand the basics, you will be able to identify the best stocks to invest in, making huge returns and most importantly making it worth your time. I’ve emphasized this repeatedly, but it is the most major component to consider when selecting the penny stocks you want to purchase. Research, research, research. Leave no stone unturned. Start with each company’s financial history and earnings. Then look at press releases, quarterly reports, announcements, anything you can get your hands on from each company so you can make an intelligent decision. Never base any of your decisions on hype, always take the time to find the facts. That’s how you will find yourself receiving higher returns as you fatten your portfolio. In order to find success when trading penny stocks there are a few tips to assist you as you begin. While we all have heard of the rumored penny stock millionaire, it is no easy feat. For those of you using penny stocks as a secondary source of income, please know that it can happen, IF you make the right decisions. Here are some great tips to follow to help you reach that million dollar return. Trade Quick, Trade Accurately. Penny stocks are more focused on the “now.” They move at a much faster rate, so you will need to practice on perfecting what are the right moments to buy or sell. A difference in minutes can mean the difference in a win or a loss. Look at stable upward trends and bide your time for the perfect time to strike. Don’t Get Attached. You are not in the penny stock trade to get attached to investments and companies. Your goal is to make as much money in the company as you possibly can before selling. Forget what you learned for traditional day trading, quickly pick up on how others make their decisions. Master the penny stock trade, and collect your rewards. Scale the Peak. Look at the day-to-day flow of the OTC market, and see where certain penny stocks are peaking. Researching the company in advance will definitely help give you a better sense of the management structure. A poorly managed company will not peak as high as a well-managed one will. Go With You Gut. Ultimately your gut will be a determining factor. If you ask some of the most successful penny stock investors how they made millions, they will tell you the same thing. Trust your instincts but be sure to base it off of facts and not emotions. Just because this blog gave you an overview of what penny stocks are doesn’t mean your investment education is over. As a penny stock investor you need to make sure you are keeping yourself updated on the latest developments, constantly looking for new techniques, tools, and software that will help you do more thorough research and make better decisions in the end. Signing up for top penny stock site newsletters will also help, as professionals give you their tips for who to pick. Like I said above though, be sure to support those tips with cold hard facts so you separate the bias with the truth. Stick to these tips and you can be sure that your time investing in penny stocks will be a fruitful one! Buying hot penny stocks can sometimes seem like a gamble. The stocks that look like they will succeed inevitably fail, while the stocks that seem like they should fail skyrocket in value. There is an art to penny stock investing that few people have mastered. While it is difficult, however, it is also worthwhile. At less than five dollars a share, each penny stock has almost limitless room for appreciation. If you know how to choose the best stocks, you can make huge returns while investing very little money up front. The first step to buying hot penny stocks is to choose the stocks you want to buy. Although it is important to research your potential stocks, you should not believe everything you read. There is a lot of online hype telling investors which stocks to buy. Many of these hype blogs, however, are made to sell scam stocks. If you want to make sure that your investments pay off, it is important to base your decisions on facts rather than hype. Look into each company’s background and investigate the financial history of its management. This will point you in the right direction more accurately than most blogs can. There are two basic ways to buy penny stocks. You can either go through a traditional stock broker or you can use an online trading platform. While some investors prefer the face-to-face interaction that comes from dealing with a broker, many others prefer the speed and convenience of the online platforms. Trading online also has a number of additional benefits. Online fees are often lower than those charged by brokers. While brokers are available only during regular business hours, online trading can be done whenever you want from the comfort of your home or office. Buying hot penny stocks has never been easier. Stay up to date on buying hot penny stocks by getting on our Free eMail List! In order to better understand the risks and rewards of investing in penny stocks, we’ve created this infographic. We hope you enjoy this graphic and share it with your friends!